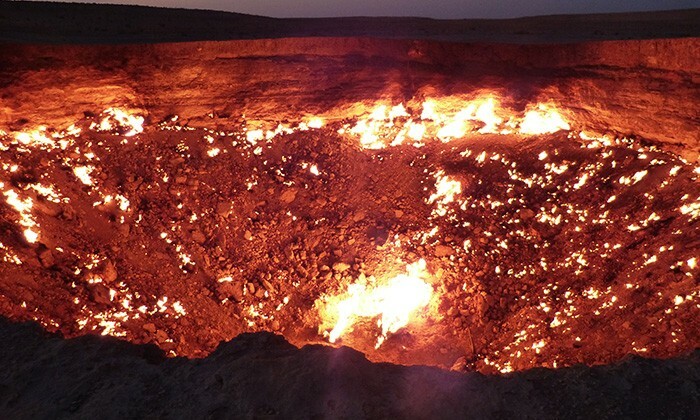 The Door to Hell, also known as the Derweze Gas Crater, has belched out flames, sulphur and menace since 1971. 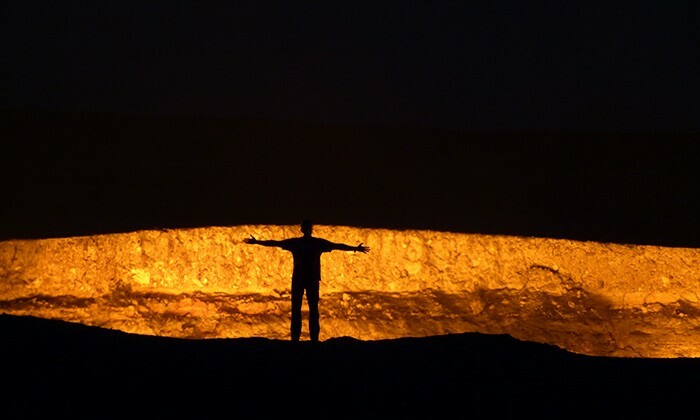 The sight of an ominous burning hole in the Karakum Desert continues to terrify the hell out of everyone who sees it. It’s also a quirky excuse to explore a stop on the fabled Silk Road, and one of the weirder countries on the bucket list. Tour agencies arrange transportation to the crater, typically at around US$50 for the roundtrip. Shared taxis is also an option. Other agencies can arrange overnight accommodation. There's no entrance fee to see the actual crater. Best time to go : Definitely at night, when the flames are most impressive. 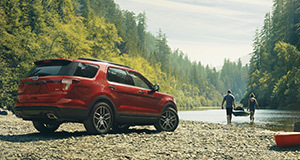 Family friendly : If you have a particularly adventurous family, sure. Pack meals for the trip or talk to your travel agency about places to stop along the way. 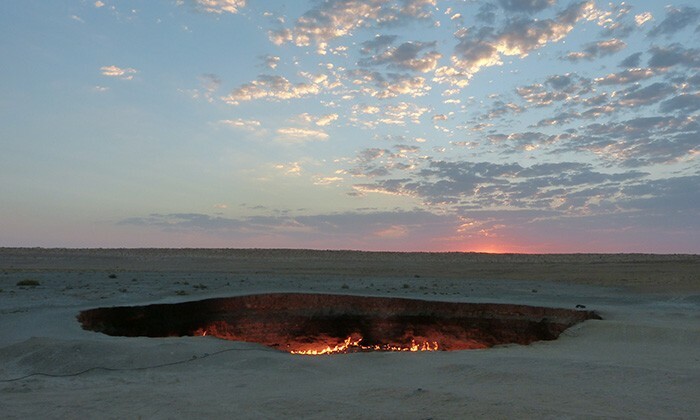 Owadan is an agency in Ashgabat that can help you arrange transportation to the crater. There's a number of good hotels in Ashgabat. TripAdvisor will get you started. 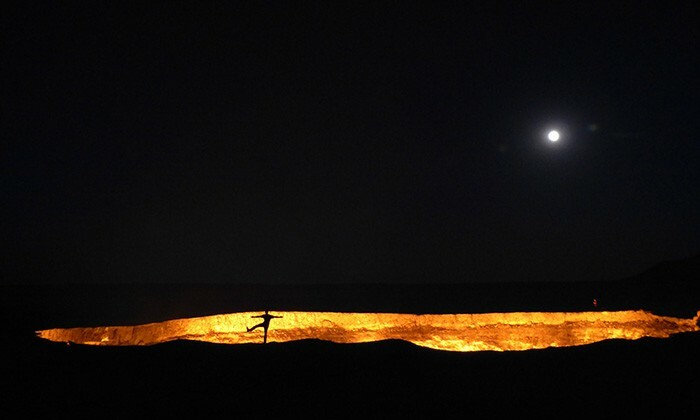 The crater is found about 260 kilometres north of Ashgabat. Your best option is to hire/find transportation in the Turkman capital of Ashgabat. You'll need a 4x4 to make the final stretch. There have been plans to close the crater in the past, so it's worth contacting an agency and seeing if hell is still burning, so to speak. Also, Turkmenistan is the only country in the world that requires a visa for everyone. Yes. Everyone. 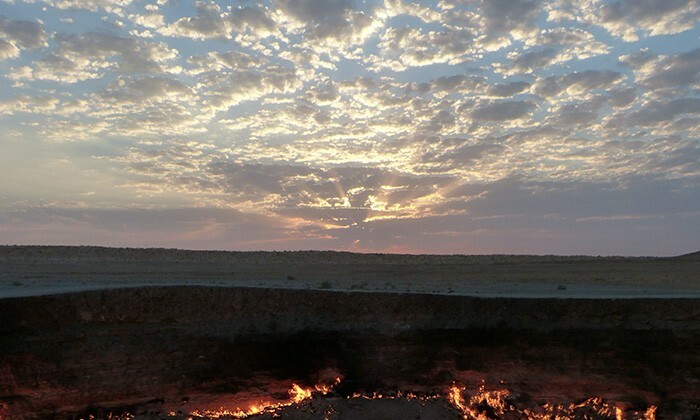 Does Derweze Gas Crater belong on the Global Bucket List?